Continuing their foray into China and expanding their palatial presence further in Asia Pacific, the newest St. Regis property in Shenzhen is the latest and greatest from the luxury-centric group and it is a milestone in every sense. The resplendent hotel is housed in the upper fractions of the city’s highest building, the 441.8 meter-tall Kingkey 100 building, which also happens to be the ninth tallest building in the world and the tallest building ever designed by a British architect, who in this case was the highly-acclaimed Sir Terry Farrell. The fact that this St. Regis property is situated atop one of the highest buildings in the world, making it the tallest St. Regis in the world, comes as quite a fortuitous coincidence, as the inaugural St. Regis hotel was the tallest in New York when it opened back in 1904 on 55th Street and Fifth Avenue. At the time the legendary 18-story French Beaux-Arts style hotel was considered to be the finest hotel in America. It was populated by such notables as Salvador Dali and marked by original innovations such as telephones in every room, in-room temperature control panels, fresh daily flowers and the signature St. Regis butler service. The hotel was developed by John Jacob Astor IV, from one the wealthiest families in America, and he later tragically died on the Titanic where he was said to have been the richest passenger on board. Today St. Regis now has more than 100 years of luxury experience behind them and the spirit of the original still remains in tact. As the axis of luxury on the planet has shifted to this side of the world, St. Regis have been slowly taking over the high-end hospitality market in Asia, with stunning new properties having recently launched in Bali, Bangkok, Sanya and now Shenzhen. The rich traditions of the brand survive on in these properties where their trademark features – grand staircases, glittering chandeliers, handsome libraries, vast wine vaults, iconic murals and bronze façades – stand out in all. 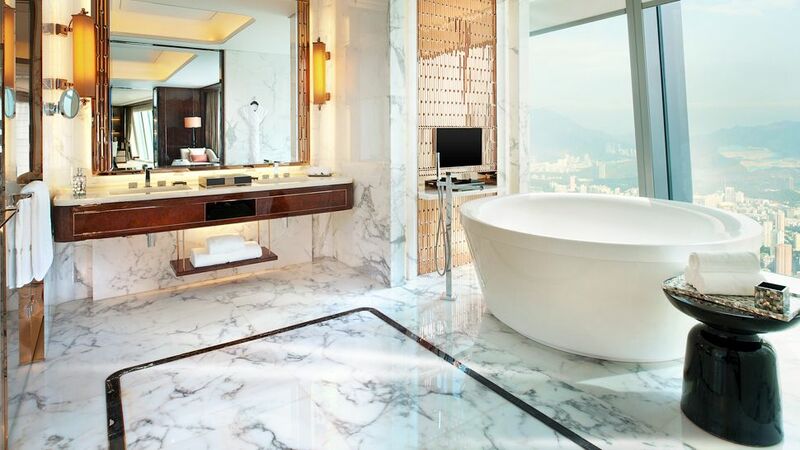 As the latest from the brand, The St. Regis Shenzhen is one of the more contemporary properties from the group, and it enters in as their fifth China St. Regis debut alongside the existing properties in Beijing, Sanya, Tibet and Tianjin. As one of the richest Chinese cities, and one of the China’s first and most successful Special Economic Zones that grew from a village to a full-blown metropolis in ten years, Shenzhen is an enterprising city of optimism and entrepreneurial spirit that has indeed earned their access to the St. Regis universe. This universe in question is one of opulence and splendor. It is a universe where every room category comes with its own professional on-call butler that can do everything from unpacking and folding shirts to running rose petal baths. It is a universe where well-made complimentary coffee and tea is on request at any time of the day; a universe where exquisite culinary experiences exist alongside top-class business facilities; and, above all, a universe where affluent and fortunate travelers can enjoy the sophisticated service and refined elegance that the St. Regis brand is known for. In the bounds of this universe there are 257 guest rooms and 40 suites, which take up the top 28 floors of the 100-story Shenzhen skyscraper. As far as luxury city hotels go, the design of these accommodations are about as good as they get, with each of the sumptuously appointed rooms featuring a conspicuous blend of contemporary décor and intricate detailing. Ranging in size from 40 to 325 square meters, each guest room and suite is exquisitely styled and expediently equipped, with some of the stand-out rarities including plush beds with sumptuous 300-count Egyptian linens, floor-to-ceiling windows that offer sprawling views of the city, plus fully customized iPad2 remote controls that not only control the temperature and television but also connect to other parts of the hotel. Following the tradition of the legendary St. Regis New York, The St. Regis Shenzhen also boasts the famed hallmark of St. Regis hotels – the signature St. Regis Butler Service – which offers unparalleled round-the-clock personal attention to every guest with butlers trained in the English tradition. Another appealing element of this lavish cosmos is the collection of avant-garde food and beverage outlets, which are sure to give epicureans a run for their money (as well as their stomach and eyes). 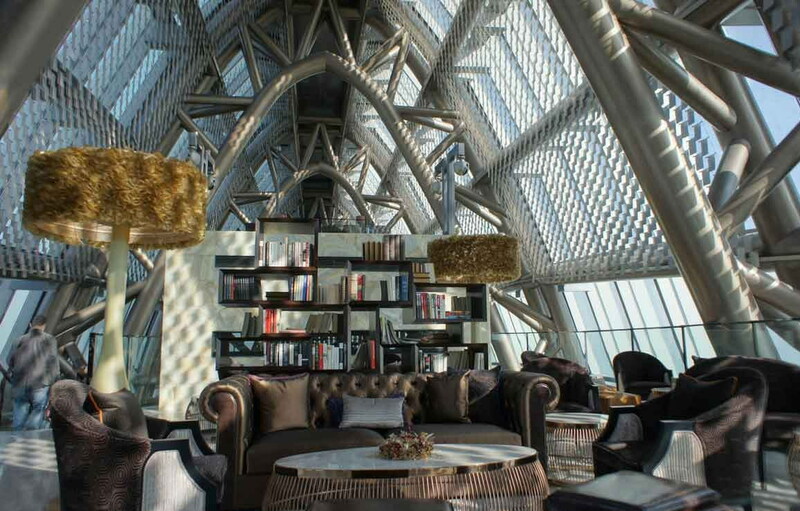 As mentioned, the building in which The St. Regis Shenzhen is located in is quite a marvel to behold, and the inside happens to be just as exceptional as the outside, with the property having turned the typical layout of hotels on its head (literally). With the hotel situated in the top floors of the building the designers decided to arrange all the food and beverage outlets above the guest rooms – instead of below – at the apex of the building and, as a result, one can rest assured the exceptional cuisine will be complemented by breathtaking views. The venues gifted with the top floors are Decanter, Malt and Library, which are spread out across a glass-encased penthouse section at the cusp of the building. While Malt and Library are a unique whiskey and cigar bar that feature erudite menus of single malts and exquisite Cubans, Decanter is an urban wine bar which possesses Shenzhen’s largest collection of wines with a private tasting room for small gatherings as well. Down from here on the 99th floor is Elba, which serves up authentic Mediterranean fare and fine wines in an elegant, warm atmosphere. The food here is overseen by executive chef Ingo Oldenburg who works in the open kitchen and makes just about everything fresh from scratch. Chef Oldenburg’s sixteen years of culinary experience is partnered by executive pastry chef Christian Vial and the director of food and beverage, Oscar Martinez, who both have 29 and 9 years of experience behind them. These talented individuals also help out in the other fine outlets at the property which include the international all day dining venue Social on the 95th floor, plus The St. Regis Bar and the Drawing Room, which aim to recreate the glamour of the early 20th century with classic cocktails and the enduring tradition of St. Regis Signature Afternoon Tea. Another rarity in the hotel is the Iridium Spa which is Starwood’s newest spa brand designed exclusively for St. Regis that has only debuted in a select few properties worldwide. Named after The St. Regis New York’s famous Iridium Room that dates back to the 1938, the Iridium Spa has been born from the original DNA of the brand. Located on the 75th floor, the 700 square meter spa has eight treatment suites, including two large couple suites and a Vichy Shower suite. Guests of the spa are encouraged to leave their watches and communication devices in a secure vessel upon arrival to bring them the luxury of time, and treatments are tailored to the elemental needs of guests’ with thoughtful gestures like signature tea rituals peppered throughout the experience. Just adjacent to the spa is also a stunning 28-meter marble-surrounded indoor infinity pool which appears to ‘spill’ out over the city with spectacular floor-to-ceiling windows. 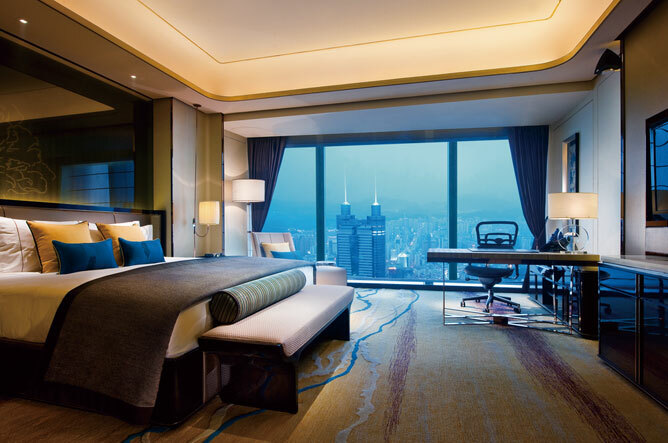 Being located above one of the main financial districts of the city, the hotel also happens to be possibly the most – if not one of the most – well-equipped and technologically-capable business destinations in Shenzhen. There are 2,100 square meters of meeting and function space, which include a beautiful ballroom and eight separate event rooms with versatile layouts and state-of-the-art amenities. Marking the fourth hotel opening in Asia for the brand in the last six months (with additional plans to debut The St. Regis Doha, The St. Regis Abu Dhabi, The St. Regis Mauritius Resort, The St. Regis Bal Harbour Resort and the newly renovated St. Regis Aspen Resort, in the next six months), it is clear to see that St. Regis do not plan to stop anytime soon. If all these upcoming properties are anything at all like The St. Regis Shenzhen, where guests can literally taste the luxury in the air, then this is expansion is indubitably a good thing indeed.